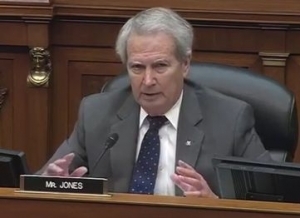 Congressman Walter B. Jones’ (NC-3) health has declined after sustaining a broken hip last week. He is now in hospice care. The family asks for your prayers, and for their privacy to be respected during this difficult time. The 75-year-old Jones underwent surgery for a broken hip January 15th, having missed several months in Washington due to a undisclosed illness. Earlier this month while recovering at home in Pitt County, Jones introduced legislation that would reduce the administrative burdens on grieving military family members and ensure they receive the benefits they are entitled to as quickly as possible. H.R. 464 has been referred to the House Committee on Veterans Affairs for action. According to his press office, Congressman Jones has co-sponsored more bills to help veterans than any other member of Congress since 2003. 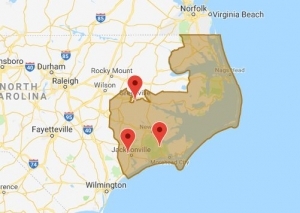 North Carolina’s 3rd congressional district. My thoughts and prayers are with you today and always. May you rest comfortably and be surrounded with Love. retirement check in the mail, and every month electronically thereafter since 2013.